The changes to pension rules announced in 2015, coupled with the UK’s vote to leave the European Union in 2016, have had the unexpected impact of making a transfer away from a final salary pension more likely to be in the member’s best interests than at any other time in recent history. Final Salary pensions, also known as defined benefit (DB) schemes, have for a very long time been considered among the best pension schemes available in the UK. As the pension received is based on the length of time a member has worked for a company offering a final salary pension, rather than any specific fund value, the pension income is therefore disconnected from the performance of investment markets. Furthermore, companies must ensure that final salary schemes are adequately funded and if necessary they must put more money into the scheme to bring the funding up to the required level to guarantee the member’s income. Once in payment, the income received by members typically increases in line with inflation, a process known as indexation. 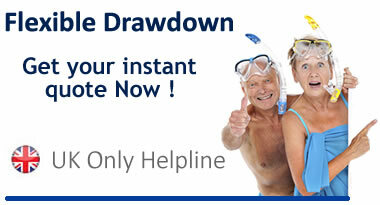 People who are not members of a defined benefit scheme, have no option other than to buy an annuity or use drawdown. While they could choose to inflation proof their income, many such customers disregard this option as the starting income they would receive would be dramatically reduced and it could take up to 15 years or more before their income reaches the level they were offered if they forgo the indexation option. While all of these features remain unaltered for Final Salary schemes, many more members are now seriously considering leaving the scheme and instead placing the derived transfer value into a flexible drawdown contract. So what has changed ? Well firstly the pension freedoms introduced two very attractive benefits. The first was that all income limits were removed, meaning that a drawdown customer can take as little or as much out of their pension fund whenever they want. With a Final Salary pension the income is set each year and cannot be altered, and members do not have access to a fund. Drawdown death benefits also dramatically improved, and any unused pension fund can pass in full to the member’s partner, children or whoever they wish – depending on the age of death, the fund could even be passed on completely tax free. While Final Salary schemes do provide a death benefit, it is typically only for a spouse or partner and not in the form of a lump sum if death occurs after retirement. In this case the surviving partner normally receives half the annual income the original member would have received. Besides the pension changes discussed above, the Brexit vote has caused UK Gilt yields to fall to an historic low. This is important because final salary schemes calculate their long term funding requirements based on Gilt returns. What this means for the member is a considerable increase in the amount of money they will be offered to transfer their pension to another scheme. Xafinity, a company that provides services to Final Salary schemes, calculated that on 30 June 2016, a 64-year-old with a DB pension worth £10,000 a year could expect to receive a cash sum of £223,000 if they transferred now. On a very simple basis, assuming that the fund didn’t grow at all, and the customer took only £10,000 a year for life, then they would be aged 86 before the money ran out. If they die while there is still money in the fund, then it will pass to their partner or children. Conversely if they stay in the Final Salary scheme and die after 3 years and they are single or widowed, then that is the end of things – no further money is paid to anyone. This doesn’t mean that transferring from a Final Salary scheme is the right thing to do. For many members, sticking with their existing DB scheme will provide them with the financial security that is essential in old age. Of course, large cash sums can look attractive, but this does need to be considered against the long term benefit of a guaranteed regular income for the remainder of a member’s life. For this reason the Government have made it compulsory for many people with a Final Salary pension to take the advice of a Pension Transfer Specialist before any transfer can take place. This is important advice and requires that certain procedures and calculations are performed to ensure than the customer receives advice that is in their best interests. If you have a defined benefit final salary scheme, you can use the drawdown pension calculator opposite and get a full costed quote and information pack.